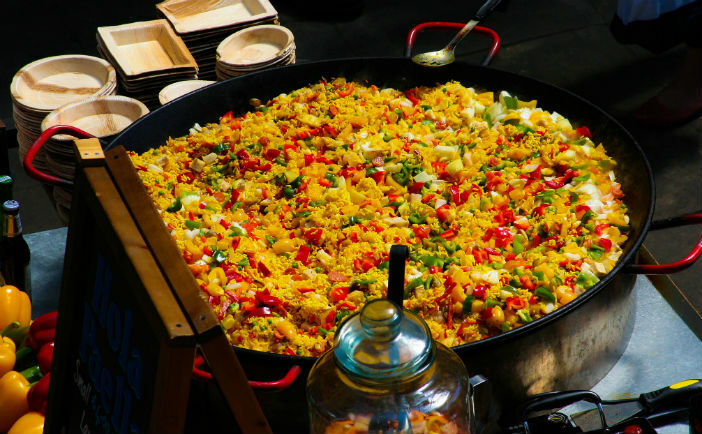 Historically divided into small kingdoms, it is hardly surprising there are a few different foods battling for the title of Spain’s national dish. Tapas dining has become an important part of Spanish culture, and a much-enjoyed pastime for visitors – leisurely picking at small dishes throughout the day. This approach demonstrates the eclectic mix of culinary options readily available to locals and holidaymakers looking for the real taste of Spain. Often the first dish conjured when thinking about Spanish food, paella can trace its roots back to the 15th century Valencian region. As the local farmers improved irrigation systems left by the Romans, rice yields suddenly started to boom – leading to the food becoming a staple of the Spanish diet. The rice was combined with vegetables, beans and cod to create the original recipe, which closely resembles modern day paella. Short-grain white rice, chicken, rabbit, snails (optional), duck (optional), butter beans, great northern beans, runner beans, artichoke, fresh rosemary, sweet paprika, saffron, garlic, sale, olive oil and water. A walk down the Valencian coast, and you’re sure to be buffeted with the captivating aroma of various paellas cooking in massive pans (the name paella even comes from the old French word for pan), luring you into any one of a huge number of eateries. 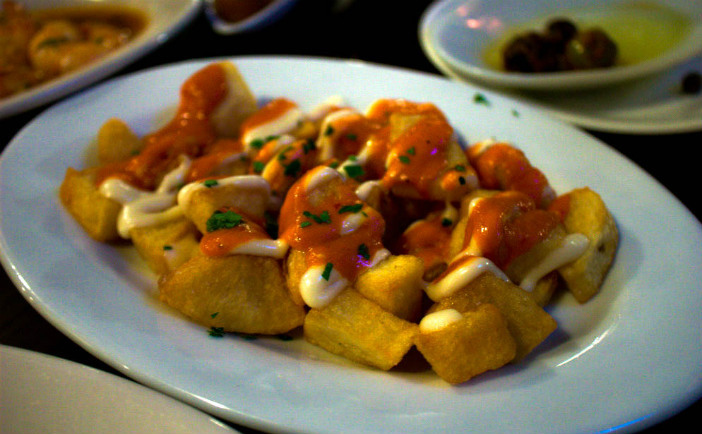 An absolute staple of tapas; it’s rare that a mouthful of patatas bravas goes to waste in the myriad of cafes and eateries offering the ever-popular dish. Originally from Madrid, the dish has been adopted by every corner of the Spanish nation since it was first developed a few hundred years ago. The classic recipe for patatas bravas calls for potatoes to be cut into irregular chunks, fried and then dressed in a spicy tomato sauce. If you’re making the sauce at home, it’s vital that you ensure it is super spicy – bravas is the literal translation of ferocious in Spanish. Patatas bravas is about much more than just the food, it is integral to the fantastic culinary experience of tapas. And we reckon these are the best tapas restaurants that Madrid has to offer. Although Barcelona and the wider Catalan region may now be better known by their amazing football team and the eternally unfinished Sagrada Familia; there is nothing more quintessential of the city than escudella i carn d’olla (or just escudella for short). The traditional dish is the first soup/stew to be referenced in European history; reportedly eaten every day by the Catalan people in the 14th century. Still enjoyed today, a classic escudella is characterised by a floating pilota – a big meatball spiced with garlic and parsley. If you are visiting Barcelona, there’s a huge selection of places to grab a delicious steaming hot bowl of escudella, but we reckon these are three of the best. 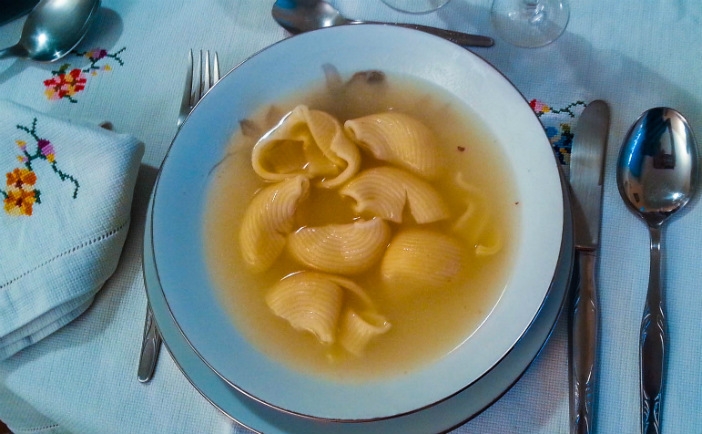 Although cold soup may not be up everyone’s street, it is a culinary sensation in the southern region of Andalusia – particularly in the summer months when the temperatures rise. The soup, in fact, has ancient Arab roots, but became a huge part of the cuisine of Cordoba and Seville when it made its way to Spain. The traditional gazpacho recipe calls for stale bread, tomato, cucumber, bell pepper, onion, garlic, olive oil, wine vinegar, water and salt. 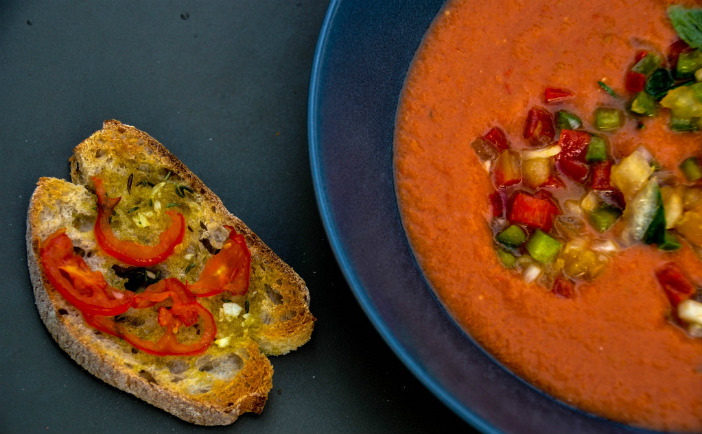 A truly authentic gazpacho should be made by pounding the veggies in a pestle and mortar – although this method calls for a bit more elbow grease from the cook, it helps to keep the soup cool and creates a smooth consistency. If you are looking to undertake an unforgettable culinary-focussed cruise around Spain, Cruise1st proudly stock a selection of great offers. For more information, visit our homepage or give our dedicated team a call on 0808 274 6777.